Gelli Aur Care is a beautiful residential care home, accommodating up to three guests with learning disabilities and co-existing mental health issues. 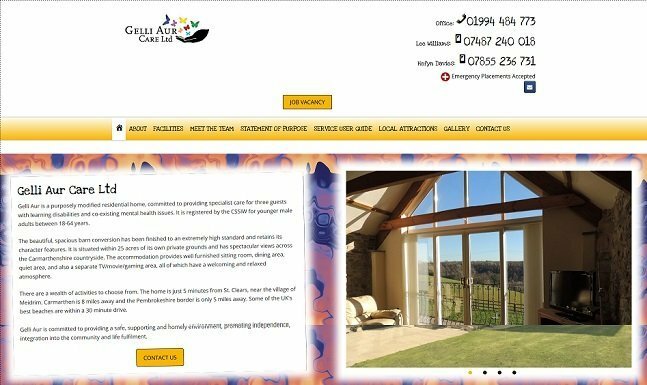 This was a new business so there was no previous website and the client’s only instructions were for it to be informative but ‘funky’, as a lot of their potential residents would be young adults. We’re pleased with the end result, as is our client! The website holds all the necessary information for potential guests and their families, along with the associated professional bodies. It also showcases the beauty of this purposely modified barn conversion in its stunning location. The web tests were positive, with the main areas bringing it down being traffic, marketing and social networking which, being a new business with the website only just launched and not yet being on social media sites, are out of our control. Technology received a pleasing score of 7.6/10, user experience got 7/10 and accessibility reached 8.6/10. Google’s desktop speed result was 81/100 which is pretty impressive considering the number of images. 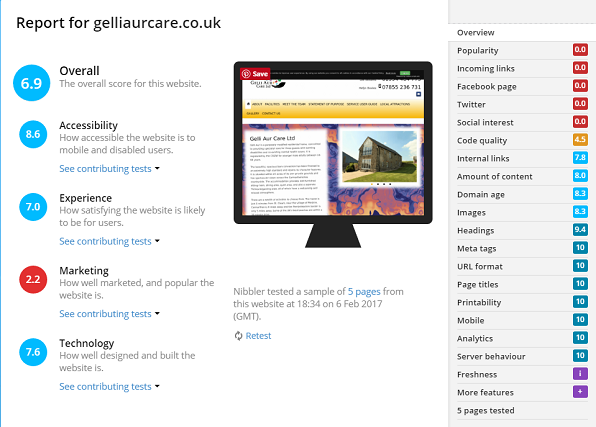 - Hefyn Davies, Owner, Gelli Aur Care Ltd.